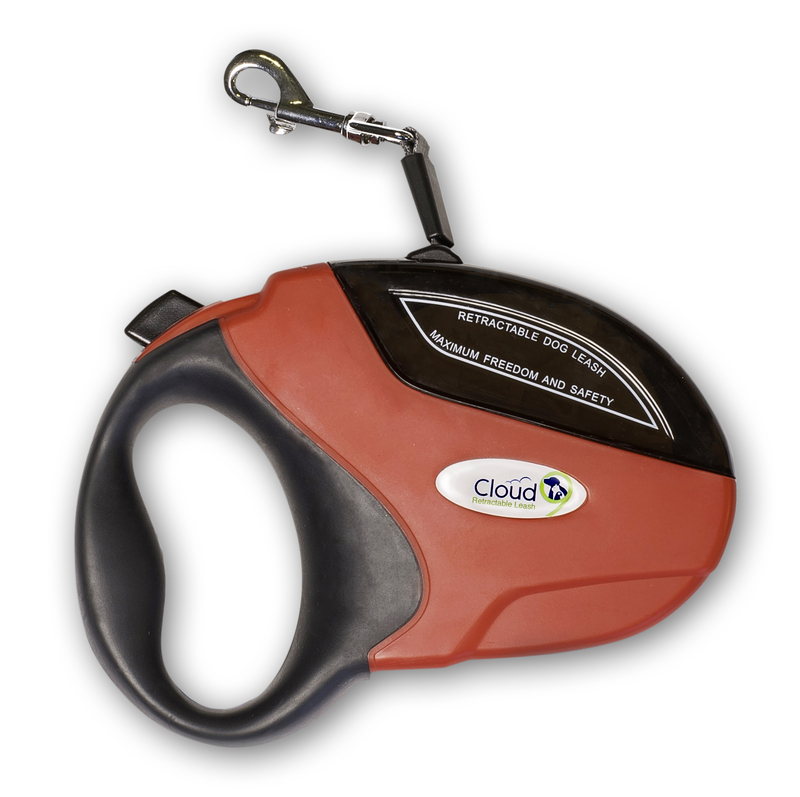 I just got this great retractable dog leash from Cloud 9. This is a super easy to use and comfortable leash. The handle is really easy to use and comfortable to hold. We have four dogs and we love this leash. It’s a great way to keep them under control when we are walking them. Simply attach the clip to your dog’s collar or harness and you have a retractable leash. Simply click the open button and allow some slack to your needs then click it closed to stop it. I like this because if we need to keep them short leashed in a certain area then I can easily change the leash length. It’s really easy to use and universal to any collar or harness. ♠ BEAST MASTER – Flexi Doesn’t have anything on us! The Retractable Dog Leash from Cloud 9 extends a full 16 feet, and our comfortable ergonomic design gives you complete control over your furry companion. Not to mention, the easy to use push button lock makes training the distance you’d like your dog to stay a breeze. ♠ TRY ON NYLON – Besides our leash’s comfort and ease of use, it offers extreme durability as well! Our hard wearing nylon cord supports pets up to 110 pounds, giving you peace of mind no matter what size animal you own! The flat ribbon style leash is designed to prevent tangling, allowing your pet to move freely without mucking up the works. ♠ LOCK IT UP! – By utilizing a simple push button lock mechanism, you can train your animal to heel in no time flat! Allow the amount of cord you’d like to spool out, press the lock button, and you’re done. If your furry friend gets too far ahead of you, just reach toward him, allowing the cord to retract, and lock the cord into place again to reign him in! ♠ SMILE MAKERS – To ensure a permanent grin on your face, we’ve included a free eBook that provides dog training leash tips and tips to stop unwanted barking, as well as a list of harmful foods, special treat recipes and so much more! Cloud 9 not only provides the tools to get the job done, but the instruction to make it easy. PEACE OF MIND GUARANTEE – We know shopping for ANYTHING can be a stressful experience, and that’s why we want to offer you a more relaxing experience. With every dog leash we sell, we offer a no questions asked Money Back Guarantee! If for any reason our leash doesn’t meet your expectations, there’s no hard feelings. Just send it back our way, and we’ll make it right.